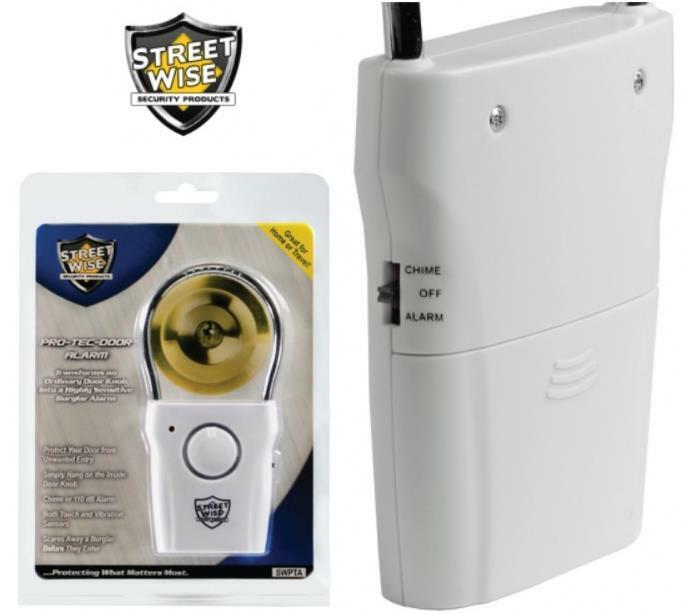 Changes a regular door knob into an extremely effective entry alarm. In order to obtain simple access to your house, intruders will initially attempt your door to see if it is opened. 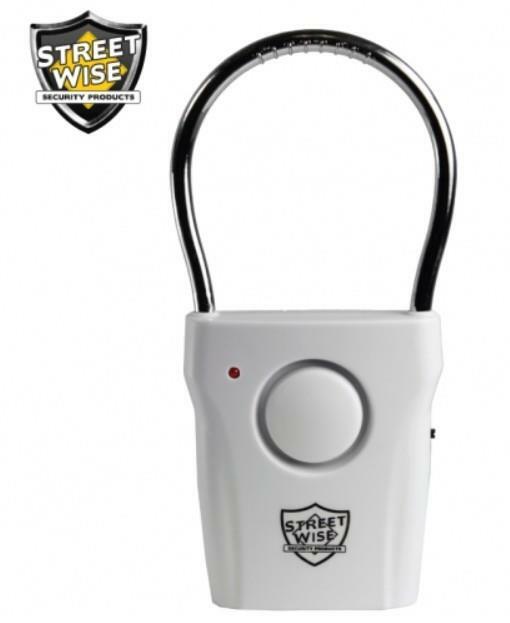 This gadget uses dual-sensing innovation to allow it to secure both metal & wood doors. 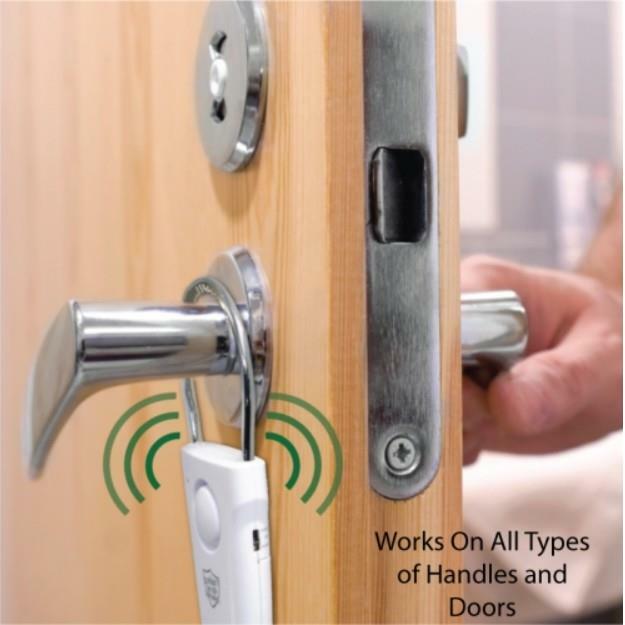 For a lot of doors (wood doors with metal handles), the touch sensor will discover an individual touching the outdoors doorknob and will quickly produce a loud 110 dB alarm sound to frighten him away and inform you to the tried entry. 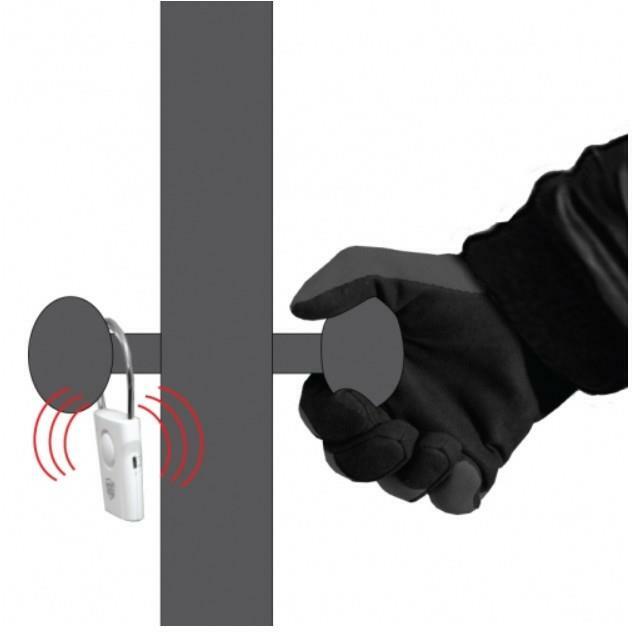 Even if the intruder is using gloves, the Pro-Tec-Door Alarm system will trip as quickly as the outside door handle is touched. For metal doors or those with plastic or wood door handles, the vibration sensor will trip when door movement is detected. You can utilize the chime mode in the house to inform you of your children or guests arriving or in a company to alert you to consumers. Requires 3 AAA batteries (not included).